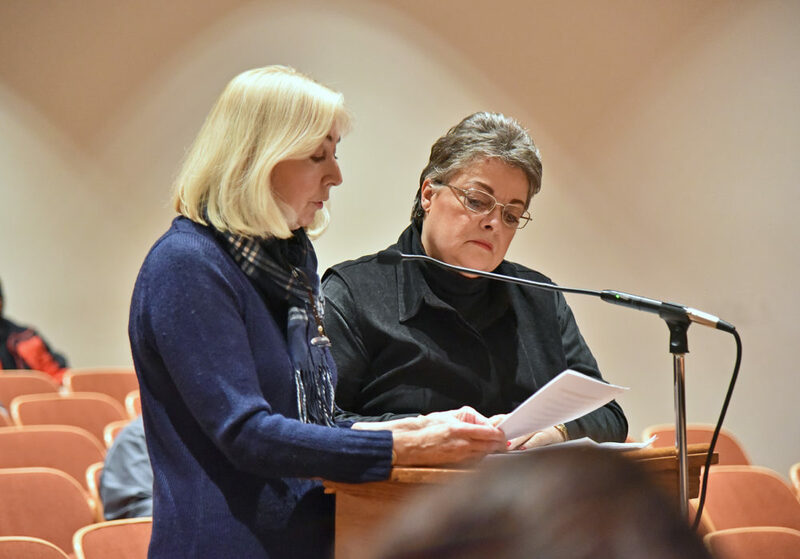 Last week, Wheatfield residents Deborah Fadel (above left) and Laurie Galbo (above right) spoke at length in front of the town board, asking new questions and expressing the concerns of their neighbors about several safety issues facing the town. 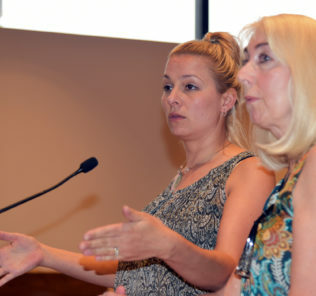 “Tonight we are here again to present another message to the town board members,” Fadel said. 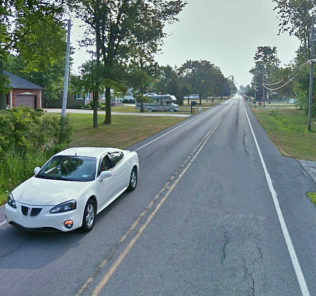 “Our words ‘Seeking Out Safety’ for the Town of Wheatfield residents represents an S.O.S. message that is shared by our community,” she said. 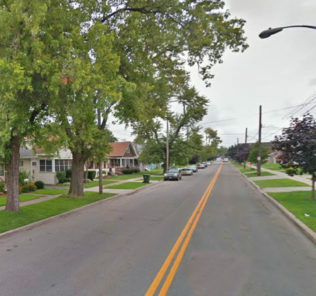 “The Town of Niagara is also pursuing money from the Transportation Alternative Program for a sidewalk along Fourth Street due to a pedestrian fatality. They did not need to have residents sign petitions or provide pictures for this. They just did it. They also will be taking their matching 20 percent out of town funds. Why? 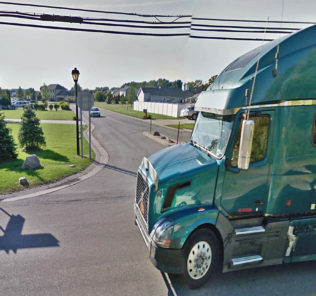 Because they feel this particular road is dangerous and requires a sidewalk to keep residents safe,” Fadel said. “Wheatfield Town Board Members need to recognize they are elected officials. Their first priority should be to provide a safe environment whereby the residents can enjoy the parks, playgrounds, and recreation buildings by providing roads with shoulders or roads with sidewalks,” she said. From left, Town Board member Randy Retzlaff, Town Attorney Matthew Brooks, and Town Supervisor Robert Cliffe. Fadel: I would have been happy with shoulders. She comments that the Town of Wheatfield’s parks are beautiful and director Mike Ranali does a wonderful job. Resident Laurie Galbo steps to the microphone. Galbo also spoke again during the meeting. “Mr. Cliffe, I was appalled at your response to Mr. Telvock in the Jan 10th Investigative Post interview,” she said. “You felt the fence at the Nash Rd. Landfill was not an emergency. That the cost of the fence is a taxpayer burden. Yet we, the taxpayers will be strapped with litigation for years to come. I requested the fence installation to this Town Board from September 2016 thru Feb 2016 when Senator Ortt offered $75,000 toward the cost of the fence. You dismissed me with every request. The fence and the landfill clean-up is an emergency. Every town board since 1968, has known of this toxic landfill. 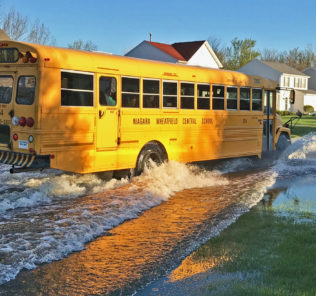 Every town board has ignored DEC recommendations since the 1980s,” said Galbo. 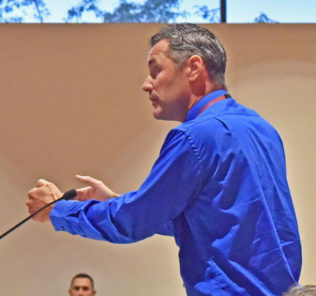 “This poisonous landfill affects NT residents as well as Wheatfield residents,” Galbo said. “This is an emergency now to all of us. This is your mess now. 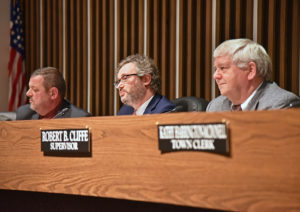 The decisions of this board have proven time after time to be careless and irresponsible Even when Forbes St residents attended previous town board meetings, you, Mr. Cliffe, dismissed them and belittled them,” Galbo said. “We can’t proceed or do any construction until we actually have the grants approved. If I’m wrong I’m very sorry, but that’s my understanding. Bernie is the expert on that, and that’s what we’ve been told,” Cliffe said. “That’s the way grants work,” he said. Galbo: Did any of these processes start when you came into office or only started back in 2014 when it became public knowledge? Cliffe: I didn’t even know that the landfill existed as a landfill until 2013 when the DEC asked for permission.